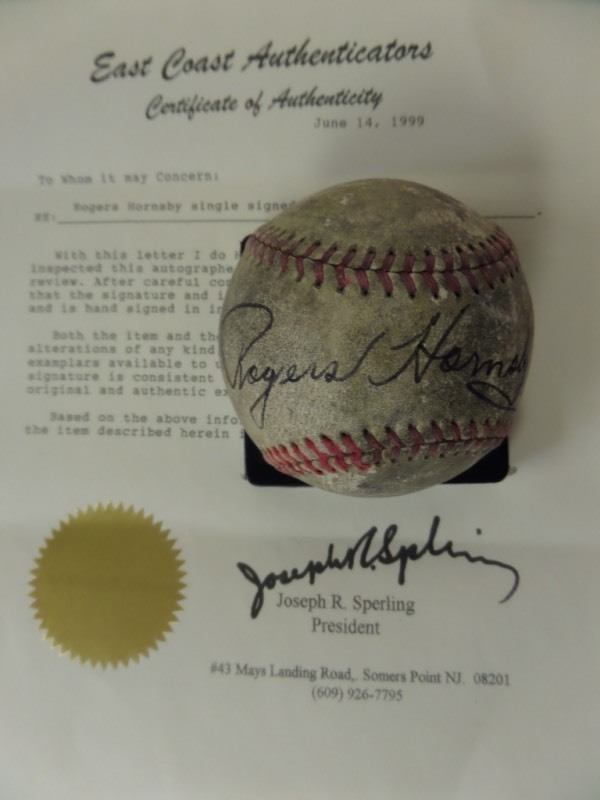 Coach's Corner - Rogers Hornsby single signed/certified vintage baseball! Go Back to Lot List Rogers Hornsby single signed/certified vintage baseball! This red-laced, vintage baseball is unmarked and in F condition overall. It has been hand-signed against the sweet spot in fountain pen ink by the two time Triple Crown winner himself, and includes a COA from East Coast Authenticators for authenticity purposes. Valued into the thousands!